If you need a tough watch to survive everything you do look no further than the G-Shock. With the unique extras these models come with there is a watch for everyone and every adventure. We are your new local stockist for G-Shock watches! With a brand new display and a diverse range in stock including solar powered units there is a tough watch watch for everyone. 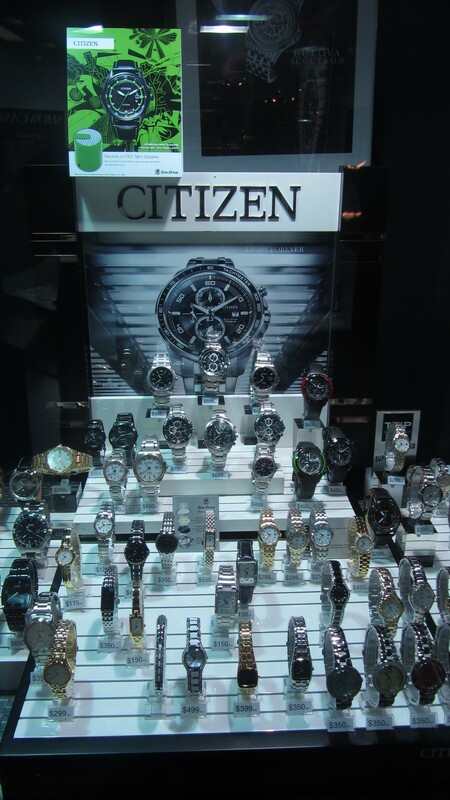 There is a large range of near 400 dress, fashion, work and divers watches from such brands as Seiko, Citizen, Adina and Jacques Lemans with quartz, mechanical, kinetic and solar powered movements to cater for all budgets and tastes. We can do all minor repairs in store such as replacement batteries, replacement glass and other small adjustments that you may require and if we cannot repair it here we can organize an obligation free quote with our watch maker to find out what is required for the repair.